The first thing you have to get used to (OK, this part is easy) is that everywhere you look, and everywhere you listen it's nothing but Ducati's. Every stop light, gas station, and cafe has them scattered any way you turn. Welcome to World Ducati Week 2007 where the passion is Red and the Rev's are high! 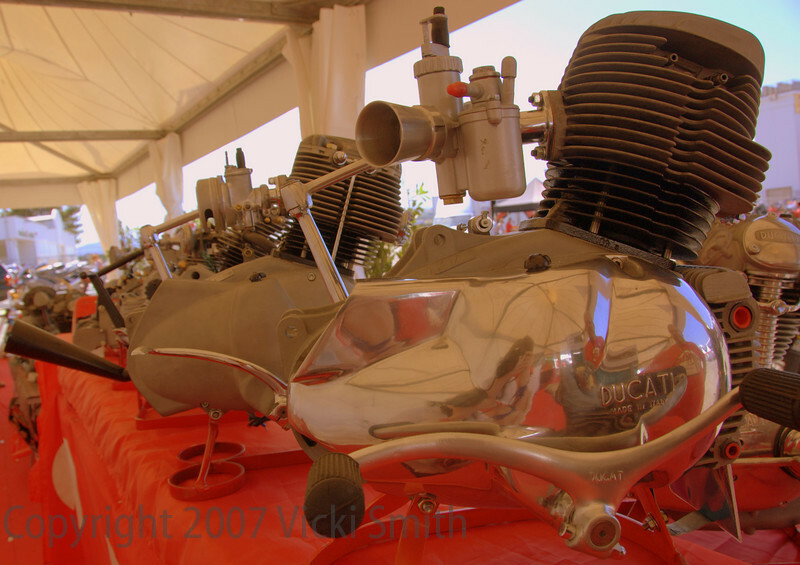 Some things were just for show like this line of single cylinder motors on loan from Enea Entati, a noted restorer in the Bologna area.